TakeCare is a world leading IT-solution for care providing organizations. The system offers a rational workflow which saves time and eliminate unnecessary workflow duplications. It is a single-sign-on system that connects staff to all other systems. TakeCare provides a secure, efficient and reliable way to handle electronic medical records, with one shared record per patient. It covers the primary and secondary healthcare sector as well as other fields of medical care. It connects the patient to the healthcare staff and facilitates self-monitoring. The system includes administration and is user-friendly. This reduces expenses used on training. 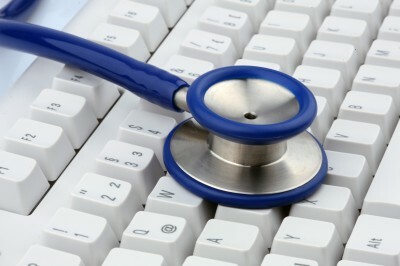 TakeCare is a complete e-health system. The IT-solution covers every aspect of the healthcare sector and provides the healthcare staff with an easy and secure access to the patient’s medical record. There is one medical record per patient, and updates of the medical record are immediately available to other healthcare providers connected to TakeCare. This ensures a safe treatment of the patient, a more effective workflow, higher efficiency and quality without compromising patient integrity. One system covering the entire healthcare sector. Enables an effective and well-structured business operation. The most user-friendly EHR-system on the market. Proven superiority regarding reliability and capacity when it comes to installation, implementation and daily operation. An IT-architecture that enables continuous improvements. Comprises the EHR, including health history and current status in one electronic health record available for all users within the regulatory framework.